Kenneth Edward Hartman, age 57, of Bloomfield, passed away Friday, September 7, 2018 at the Keosauqua Health Care Center. He was born January 26, 1961 in Miami, Oklahoma to Wilson and Shirley (Aldridge) Hartman, and later that year, moved to Bloomfield. Ken was a graduate of Davis County High School in 1979. He was active in FFA, Band and Rotary Youth Exchange Program. He was both an Eagle and Sea Scout. Kenneth loved photography, carving pipestone and working with his ham radio. Ken married Teresa (Bailey) in 1981 and from that union they had four children, Trinity, Eric, Laura, and Melissa. He later married Dianna Utoft in 2000. Ken worked at Hamilton Produce and as a carpenter and later, at Ottumwa Regional as an RN in the ER and OR, where his patients adored him. 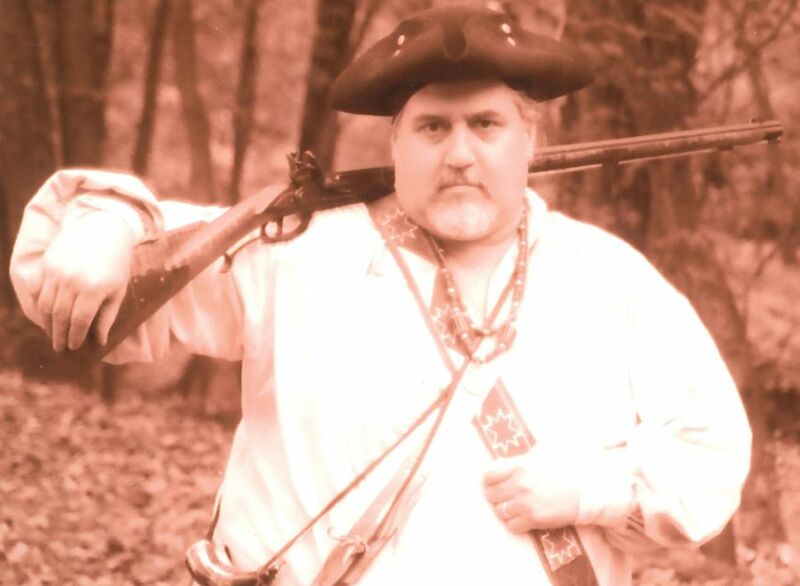 He spent much of his spare time Rendezvousing Buckskinning where he was better known as “Frenchie.” Ken was a great story teller and history enthusiast. He was a member of the NRA. He also enjoyed nature and a fine bourbon. Ken is survived by Dianna; his children, Trinity Hartman, Laura (Eric) Dabney, Melissa Hartman (Howard Ludington); daughter-in-law, Dorothy Hartman; stepchildren, Mark (Toni) Utoft, Brian (Mary) Utoft, Kelly (Gary) Caldwell, Ben (Monica) Utoft; grandchildren, Alexis Hobbs, Brayden Hartman, Clara and Ella Dabney, Howie Ludington, Kelsey Hardy, Emma Utoft, and Jessica Utoft; his brothers, George (Linda) Hartman, Donnie (Terri) Morlan, and sister, Margaret Burton; and many nieces and nephews. He was preceded in death by his parents; his brother-in-law, Jim Burton; and his beloved son, Eric. According to family wishes, cremation has been accorded. A Celebration of Ken’s life will be held on October 13, 2018 at Lacey State Park in Keosauqua. In lieu of flowers, a memorial has been established to the Family of Kenneth Hartman and may be mailed to Lange Funeral Home and Crematory, 1900 S. 18th St., Centerville, Iowa, 52544. Condolences may be shared online at www.langefh.com.